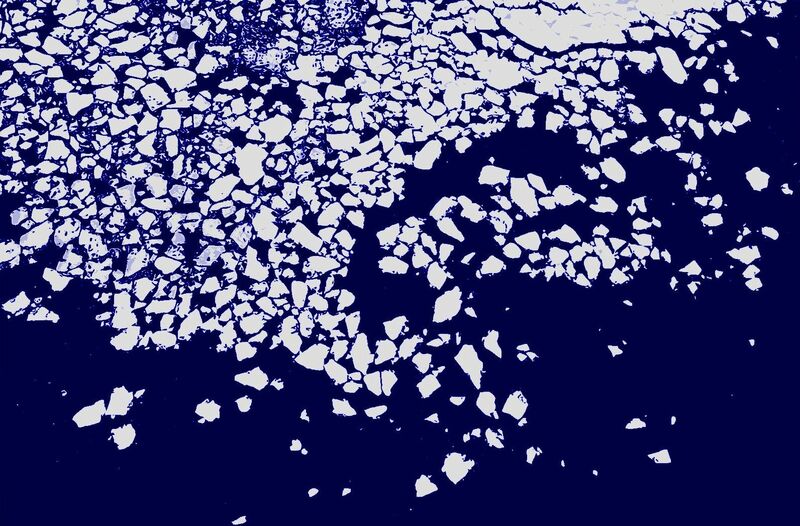 Nanuq, the polar bear in the Inuit language (nanoq): she has neither the color nor the appearance, but is tempered to sail in the Arctic regions. 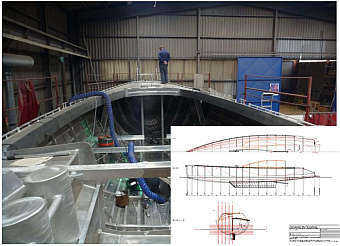 Nanuq is a Grand Integral, a 60-foot vessel, the third in the series, designed, built and skipped by Peter and his team. Developed from the 'Integral 43', she is a cruising yacht offering more space, independence and a large payload. 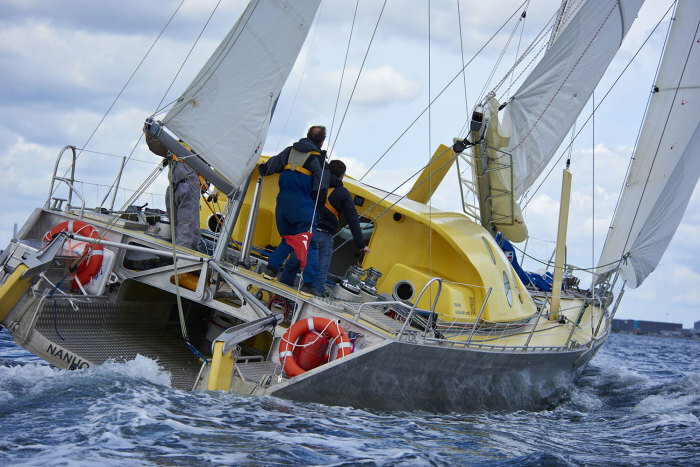 The Nanuq from Team Nanuq on Vimeo. 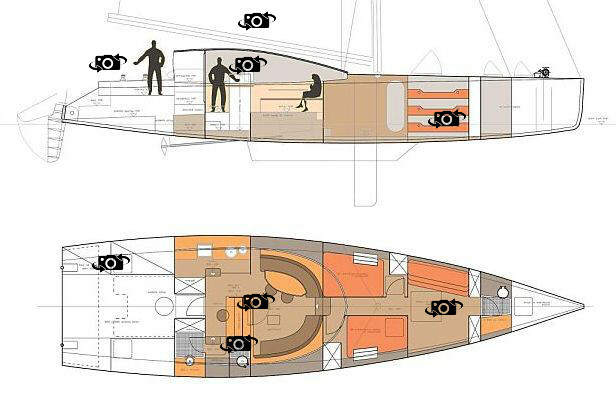 The boat is built according to the design of the Grand Integral. Due to its size and robustness, the design is ideal for the project. 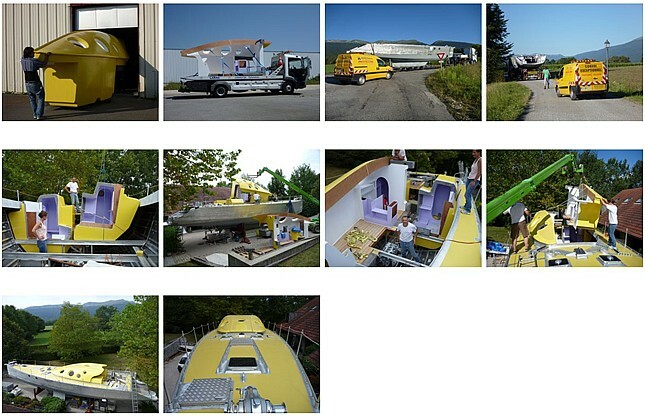 The metal hull was built by the boatbuilders Dujardin Icofrance in France. Peter and his team in Geneva built the “Igloo”. 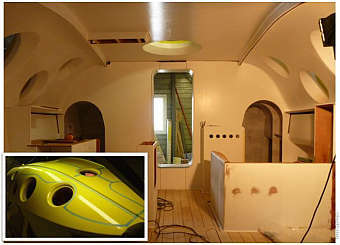 This is the interior of the “Igloo” during the last stage of construction. The "Igloo" includes the roof and living quarters. It is built using the sandwich technique: lightweight shaped high performance polystyrene blocks that were specially produced by our partner swisspor are assembled to make the sandwich core (thermal conductivity 0.029 W/(mK)). Fiberglass and epoxy resin skins provide strength, impact resistance and weatherproofing. This combination of materials gives structural strength and high thermal insulation. The completed “Igloo” weighs only 1300kg and can be dismantled into five easily transportable parts.